Craigslist can be a very profitable place to look for free scrap metal. Homeowners use the site to dispose of old brass beds, broken air conditioning units, metal objects, old kitchen appliances, and other unwanted items. These things may be a nuisance to homeowners but they are valuable to a scrap collector. For the scrap collector, Craigslist can be used to post a willingness to pick up scrap, as well as to find people looking to dispose of items. People don't know you're willing to pick up their scrap if you don't tell them. A quick listing or two on Craigslist posted on a regular (but staggered) schedule is a great way to get the word out. Target your local Craigslist as well as others in your area. Mix up the postings with different titles and text so it doesn't look like you're being spammy. Add photos of a recent scrap haul in your truck or a before and after of a building, you cleaned up. Remember, people are attracted to visuals and ads with photos get noticed more often. Remember that the abbreviation ISO stands for 'in search of' in classifieds. A quick look at your local Craigslist site on any given morning is likely to reveal that there is stiff competition among individuals willing to remove unwanted scrap. Appliances, vehicles, and other large metal objects are the most popular listings. Some scrap collectors target specific items such as brass bed frames, lamps, or electronics. It is up to you to find a way to differentiate yourself from the competition. Browse other ads to see what others are doing, take ideas from those and come up with your own selling points. Are you friendly and do you work quickly? Will you clean up the entire shed or garage and sort out the valuables after you leave their property? Can you stop by on weekends or evenings when homeowners are available? Can you handle large items other collectors won't touch? Will you offer fair prices if they have something of true value? There are two opposing points of view on spreading yourself too thin as a generalist versus targeting yourself as a specialist in one specific area of recycling. Ultimately, you must choose your approach. Post a listing with a broad perspective. Use all of the appropriate keywords like appliances, metal, scrap, junk, clean out, etc. Create targeted ads that are more specific. Use these to comfort sellers into believing that you are an expert in certain niches such as brass beds or old autos. Craigslist is also a convenient way for people to signal that they have scrap items they are looking to get rid of. This includes old televisions, appliances, sinks and bed frames. Sometimes they want a little money and other times they're willing to let it go for free. Tip: Make browsing the listings on Craigslist a daily habit so you can be one of the first to respond. After a week or two, you will know what time of day people in your area post most often. This is when you should be searching. Good opportunities do not last. As such, it pays to respond quickly whenever possible. 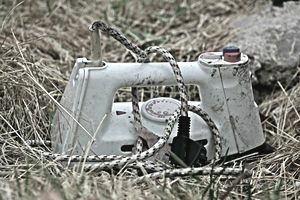 However, sometimes scrappers have success responding to older ads where the seller of items interesting as scrap may be motivated to take less or nothing to get rid of an item if it has not sold. Craigslist is not for everyone, however. Competition can be stiff and the process of going through listings can be time-consuming. Also, the travel and time associated with picking up some items can make it unprofitable, unless a number of pickups can be coordinated. Some scrappers recommend aids such as CPlus for Craigslist, an Apple iOS app. After setting up search parameters, you can receive alerts for available items without having to manually search ​the Craigslist website. There are other sites that are also dedicated to recycling and reuse. You may want to check out www.freecycle.org and look for any local resources for classified postings.